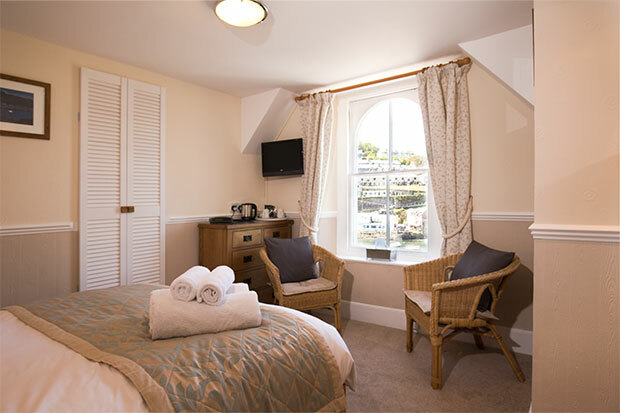 This is a double room with a table and chairs by the window overlooking the Looe estuary. This is a second floor room. 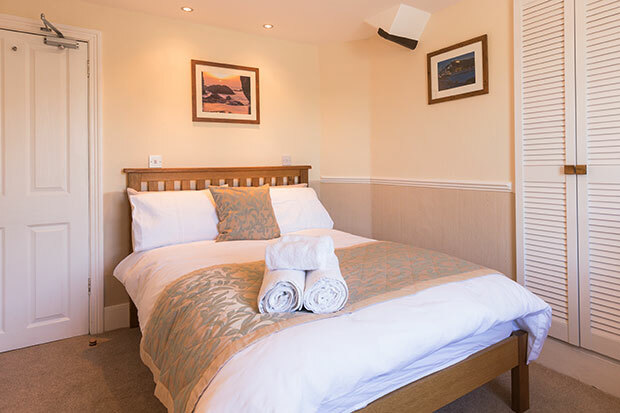 This room has a private shower room with complimentary shower gel, shampoo and soap. A hospitality tray for hot drinks (with a kettle). Quality furnishings and Linens, Fresh top quality towels.